Tebow has been a below-average player in A ball, so naturally he's moving up. What happens when you bat .222 with a .651 OPS at Class A, while being seven and a half years older than the average player in the league? If you’re Tim Tebow, you get promoted. Tim Tebow is moving up. The Mets are promoting him to Class A St. Lucie. 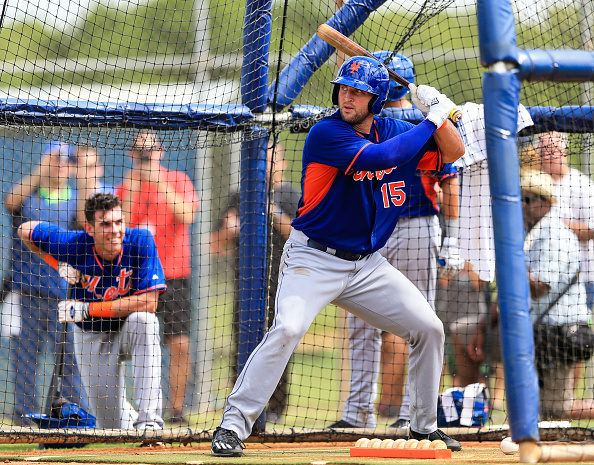 Yes, Tebow is moving up in the baseball world, from A to High-A. He “earned” this promotion by ranking eighth on the Columbia Fireflies in average and OPS while hitting only three home runs and leading the team in strikeouts. Mets GM Sandy Alderson’s explanation of the promotion included reference to Tebow’s home OPS (so what? ), acknowledgment that “it’s not like he’s tearing up the lead” (uh huh), and reference to his “positive” marks in metrics like chase rate and exit velocity (suuuure). Sure looks like they promoted three dudes who’ve dominated the league and one who’s been a below-average player by any measure. Tebow’s promotion affirms the belief that the Mets simply view the former football player as a publicity machine and figured that if the fans in Columbia had gotten their fill, they might as well move Tebowmania to St. Lucie. Tebow remains three steps away from the Majors, so maybe we should hold our outrage, but there’s certainly something maddening about how this guy continues to fail upward.